Eropean Commissioner for Transport Violeta Bulc invited key stakeholders to Ljubljana to discuss how to contribute to smart, sustainable and safe Mobility, relying on the trans-European transport network and investments in transport connectivity. A high-level Interinstitutional meeting to discuss further synergies between transport, energy and digital connectivity, and the investment support with highest EU value-added in the post-2020 framework during the TEN-T days, lead to a "Ljubljana declaration" by relevant stakeholders on key principles for investment in smart, sustainable and safe mobility. Among the high-level events, there were Ministerial sessions with Western Balkans and Turkey, and with Southern Mediterranean countries. Further an indoor and outdoor exhibition showcased innovative projects and ideas that contribute to European transport infrastructure development. The indoor exhibition welcomed about 100 exhibitors showing innovative transport solutions in two halls of the Ljubljana Exhibition and Convention Centre. 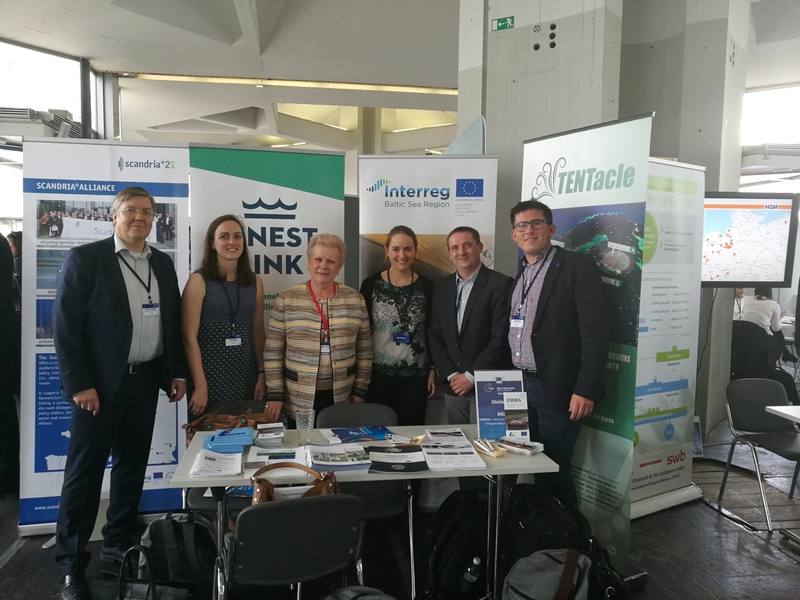 The EMMA project shared a booth with Interreg Baltic Sea Region Projects NSBCoRe, TENTacle and Scandria2Act, together highlighting the Baltic Sea regions contribution to the completion of TEN-T. The outdoor exhibition highlighted different innovative technologies for the road sector, such as electromobility natural gas and fuel cells/hydrogen. It spotlighted a range of alternative fuels vehicles, from passenger cars and light commercial vans to heavy vehicles such as a CNG and LNG trucks and buses.